Discussion in 'Guitars in General' started by Mole351, Dec 8, 2016. I played a few because I was test driving the CE and the Les Paul Traditional both in Honey Burst. The tone is fantastic, it's comfortable, it looks incredible (especially in honey burst) and if the Les Paul wasn't my Holy Grail guitar I would have owned the CE in honey burst. It was basically a tie but picked the LP in the end. Go play a few, they are awesome. I'm in the market for one too, as soon as the local stores get a 2017 Trampas Green in stock, I'm going to give it a real hard look. I've heard the CEs are the most versatile PRS, which are of course famously versatile as a brand. The new 85/15 pickups are supposed to be amazing also. Go play one. You won't be disappointed. I like that the new version has a 3 way and Push/Pull. My '95 CE24 has (had?) the 5 way rotary. Not ideal IMO. I just can't imagine that you couldn't get the new ones to get close to a warm tone with great sustain sometimes. I can get my Strat to do that. I like the CE24's, but some of them can get pretty heavy. The quality control is good enough to order, on line. But I wouldn't want to buy one, without at least getting the weight from the seller. I would also suggest trying an S2, semi-hollow, for even less money. This past year I have bought an S2, Singlecut semi-hollow and an SE Zach Meyers (for much less). The S2, Singlecut is a thin top, like an ES335. The Zach Myers is a thick maple top, semi-hollow, more like a chambered Les Paul. I can recommend them both. grausch, scott944, zach sears and 2 others like this. Played one yesterday at GC and pulled the trigger on a dark cherry sunburst w/20% off promotion - at least saved a few bucks. Loved it - can't wait! Dusty Chalk, Chicago Slim and jds22 like this. I have one (avatar pic). Sustain is no problem at all and there is a wide range of sounds to be had. I can get twangy to heavy. Nickstrtcstr and Mole351 like this. I'm thinking the 24 or if they release one, a 22 will be my next guitar. I know it's a subtle difference but I prefer the tone of the neck pickup on 22 fret models. I bought a CE22 back in 98 and loved it. Of course like a moron I sold it and have regretted it ever since. Come on PRS, release a 22. Oh and Mole351, pics are mandatory when you get yours. Analog Kid, david(j) and Mole351 like this. Love my old 1990 CE24. Haven't played the new ones. sixesandsevens and jiml like this. Bump to an old thread. After ordering the dark cherry from GC, having it on back order for a month, canceling the order and buying a strat - I ended up finding a good deal on reverb after realizing I was still lusting after this guitar. Spent money I shouldn't have (hell, shouldn't have bought the first guitar - haha) and now have this at my house. Couldn't be happier, even if I have no money. grausch, Phil M, Nickstrtcstr and 10 others like this. 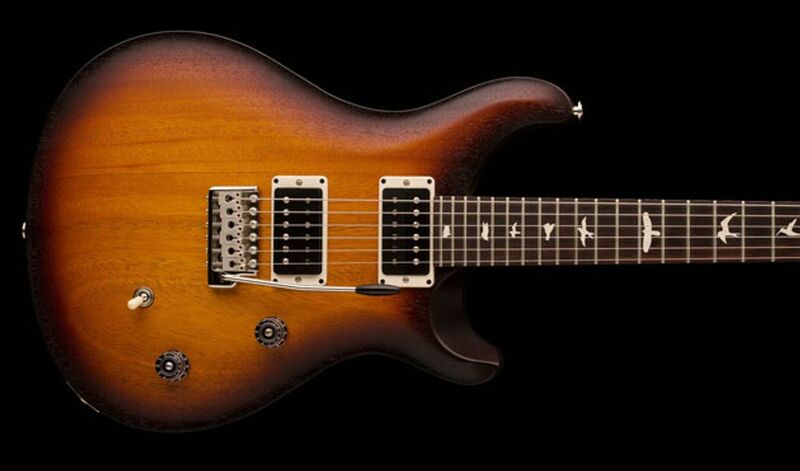 Those early 90's PRS are always fantastic. I had a 1993 CE24. Everything about it was perfect, especially the neck. I actually sold it once, re-bought it later, then had to sell it again during some lean times. I'm kind of turned off by the white plastic bird inlays on the new CE's. My old one had abalone "moons", and that's always how I'll think of a proper CE. That's just my preference though, I'm sure the new ones are great guitars. jiml, Mullenski and The bear like this. The local GC has a black CE-24 that I've played several times. I thought the neck felt great for 'pattern thin'. I was a bit concerned that this particular guitar might have had an anomalously fat neck, but they got another one in and it felt exactly the same. I have trouble believing this neck is .78" deep. If it is, it just goes to show that neck carve is the most important factor... 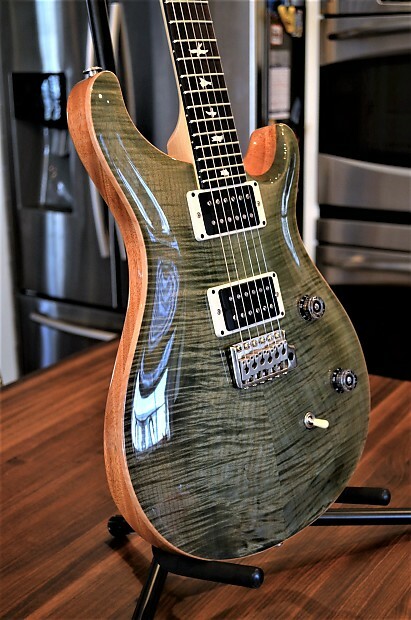 Some 'thin' PRS necks feel great and some are too skinny front to back. Someone said SE pattern thin necks are thinner, and I'd believe that. 1. 24 fret guitars (especially PRS') feel right to me. 22 fret PRS' feel too cramped, especially where my picking arm rests. I don't have this problem with other 21/22 fret guitars like Strats and SGs. 2. For years, I thought 22 frets on a PRS must be better because the harmonic node is in the "right" place and they are "warmer." This is probably true with Strats and Teles, but I like the neck pickup position on the CE-24. It's bright enough and not muddy. Neck 'buckers sound muddy to me. My debate now is whether to buy an older, used CE-24 or a new one (that I would purchased used - I've seen 'em as low as $1300). 1. Can get one in Blue Matteo with a light back. 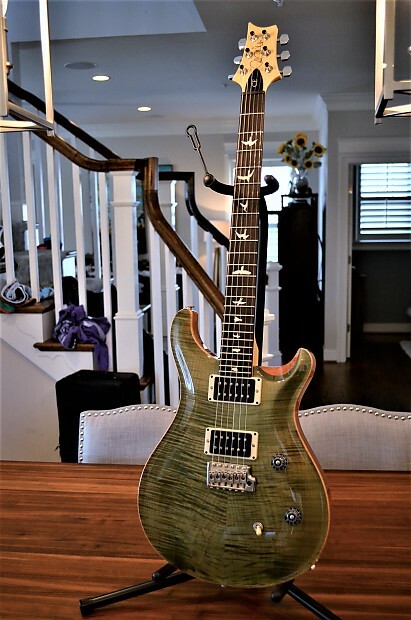 My favorite PRS finish. 2. Moons (the new birds are distracting. I personally don't like them). 3. Better bridge (although this can be upgraded on the new ones). 1. Fantastic pickups. The 85/15's sound great as humbuckers and they have at least one exceptional split sound. I am not good at soldering, so replacing pickups on an older PRS would cost me. 3. Generally lightweight. I've looked at every CE-24 on Sweetwater and many other sites, auctions, etc. where weight is listed. Getting a new CE-24 at just above 7 lbs. won't be a herculean task. Finding the weight of used ones on eBay, Reverb and Guitar Center can be a challenge, and is often reported wrong. If they make a Matteo Blue CE-24's for 2017, I'm sold! Unexplainedbacon, Dusty Chalk and archey like this. The new CE24 Standard in satin really, really gets me. Nickstrtcstr, sixesandsevens, archey and 1 other person like this. My 1991 CE24 - Fantastic guitar! grausch, movingpictures, Nickstrtcstr and 5 others like this. I had one for a week or so and returned it because the neck was too small for me.....but that was the only reason. It sounded fantastic & played really well. I have a S2 Mira that I love and just prefer the size of that neck (although I wouldn't mind replacing the pickups with the CE24 pickups!). 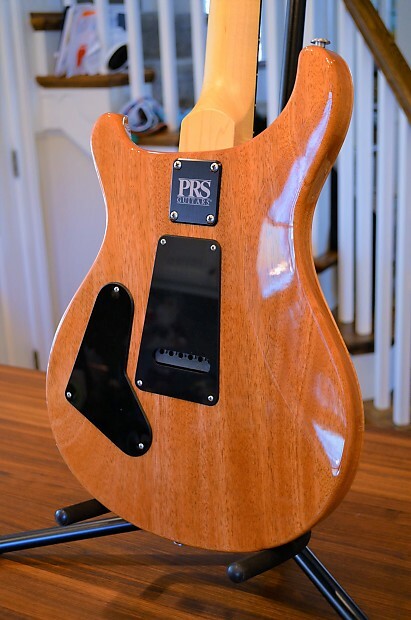 I had heard so much about the 90's PRS guitars so I found a 1997 CE22 for $700 Cdn. The neck shape was perfect for me but it needed a refret (which costs about $600 where I live) so I will keep looking! ...I also want to be able to get close to a warm tone with great sustain sometimes as well (think TreyAnastasio). As a Phish fan since 1991, and an owner of a CE24 since 1994, I'm curious what you think. I'm guessing that you have no issues whatsoever copping some Trey tones. Correct?